Children have a natural tendency to explore with all of their senses, and that includes touching and feeling everything in sight. Combine that with a lot of barefoot excursions and they’re bound to get a splinter at some point in their childhood. 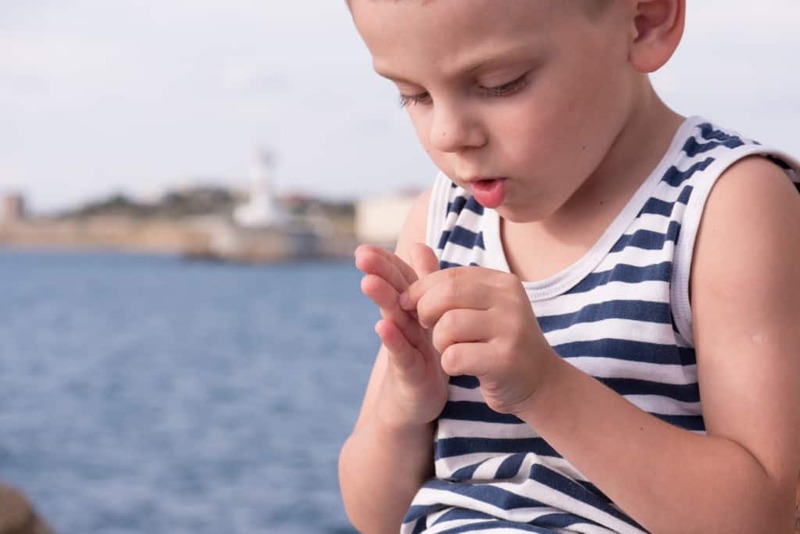 If you’re wondering how to remove a splinter from your child’s hand or foot, here are some safe tips from Hospitality Health ER. Do I Need to Remove a Splinter if It’s Not Bothering My Child? Because the splinter itself is most likely unsterile and can cause an infection, you should remove it. Even very small splinters can cause problems like inflammation or a small infection. If you’re scared about hurting your child while trying to remove a splinter, take them to a doctor who will be able to remove it safely. How Do I Remove a Splinter? Wash your hands before touching anything. Sterilize tweezers and a needle in some alcohol. If you don’t have alcohol at hand, you can sterilize them with fire from a match or stovetop. Let them cool before you use them. Wash your hands again before treating your child. Clean the affected area of skin with warm, soapy water. For wood splinters, do not soak the area for too long — this can cause the wood splinter to swell. If possible, have another adult hold your child so that they can minimize movement while you take out the splinter. If that’s not possible, hold your child on your lap to comfort them and ease their fears. If part of the splinter is sticking out of the skin, it should be fairly easy to remove. Using the tweezers, grasp the visible part of the splinter gently and pull it straight out. Don’t move it around or pick at it because this may cause a piece to break off, leaving another piece inside the skin. If the splinter is totally embedded in the skin, use the needle to gently create a slit in the skin right above the splinter and carefully remove the splinter with the tweezers. After you remove the splinter, wash the whole area again thoroughly with soap and warm water. Apply antibiotic ointment and an adhesive bandage to prevent infection. Watch for any signs of infection like redness, swelling, pain, or pus coming from the splinter site over the next few days. For more children’s first aid tips, read our blog about the BRAT diet for diarrhea and vomiting, or like us on Facebook as we share all our latest first aid tips.